t’s a brave new world at the grocery store these days. As many as 60 to 70 percent of all items on supermarket shelves contain some genetically modified (GM) or genetically engineered (GE) ingredients. There are potatoes classified as pesticides, milk from cows treated with a genetically engineered growth hormone, and prepared foods containing oil from plants designed to withstand doses of herbicides. Coming soon: salmon with human growth hormone to make them grow ten times faster, and at least that many times larger, than nature intended. Since 1990 hundreds of varieties of genetically engineered plants, animals, and bacteria have been developed and field-tested in the United States. But it wasn’t until 1996 that any significant acreage of GM crops was planted. As of summer 2000, according to the United States Department of Agriculture (USDA), most soybeans grown in the United States were genetically engineered, as was about 30 percent of corn and 61 percent of cotton. 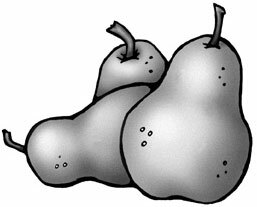 All told, fifty-one GM foods have been approved by the USDA. These include, in addition to soybeans, corn, cotton, canola, yellow squash, potatoes, tomatoes, papaya, sugar beets, radicchio, flax, and milk. The United States is the number one grower of GM crops, followed by Argentina and Canada. Globally, more than one hundred million acres of GM crops have been planted this year. Are these GM foods safe to eat? Are they nutritious? And what about their impact on the environment? Studies conducted by their corporate creators conclude that GM products are safe and that any problems are inconsequential. Unfortunately, the FDA requires only an FDA consultation before bringing a new GM product to market. Typically, before a new drug or food additive can be sold to the public it must be tested extensively, first on animals, and then in closely monitored human studies. But the FDA considers GM foods to be “substantially equivalent” to their conventional counterparts, thus allowing them on the market and making you and me the guinea pigs. 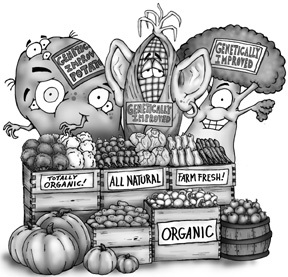 he benefits of genetically modified food are, it is promised, to be substantial: more food for starving people, less use of pesticides, and even the use of food as preventive medicine (hepatitis, cholera, and malaria vaccines can be inserted into fruits and vegetables like bananas and potatoes). We’ve seen similar enthusiasms for other technologies that were later found to be severely harmful or even deadly: thalidomide immediately comes to mind. So far, most GM products fall into one of two categories: crops created to be resistant to herbicides and crops that are themselves pesticides. Monsanto’s Roundup Ready soybeans, corn, and cotton, engineered to tolerate higher doses of Roundup, the world’s biggest-selling herbicide (weed killer) fall into the first category. The second includes potatoes, corn, and cotton engineered to include the insecticide Bacillus thuringiensis (or Bt). The debate continues about whether crops containing insecticide must be registered with the Environmental Protection Agency (EPA) as pesticides. Both types of GM crops pose serious dangers for the environment, especially with regard to the evolution of superpests. Insect generations are short, so it takes only a few years for resistance to evolve. Industry scientists concede that it’s just a matter of time, three to five years perhaps, before Bt-resistant insects evolve. Similarly, scientists are concerned that extensive planting of GM crops will lead to a new class of herbicide-resistant weeds. The loss of beneficial insects is another threat. Laboratory tests conducted by researchers at Cornell University showed that nearly half of the monarch caterpillars that ate milkweed leaves dusted with pollen from Bt corn died. Tests to see what happens outside of laboratory settings are under way. Meanwhile, twenty million acres of Bt corn are being grown in the United States right in the heart of the monarch’s migratory route between Mexico and Canada. Genetic contamination is another hazard. Currently, separating GM crops from non-GM crops is rarely done. Consumer demand should soon change that. All it takes is a brisk wind or a few bees to carry GM pollen to non-GM fields. In June 2000, the BBC news reported that “any food could be contaminated with genetically modified material. . . whatever the distance between GM trial sites and other crops.” *U.K. Environment Minister Michael Meacher concurs, “It is false to pretend that there is any distance which is going to prevent some contamination.” Here’s a U.S. example: In 1999 Terra Prima, a Wisconsin organic chips exporter, was forced to destroy eighty thousands bags of chips at a cost of $147,000 because they were found be contaminated with GM corn. Concerns for human health center on allergies, antibiotic resistance, and the resurgence of infectious diseases. With dozens of new GM crops in the works and no labeling required, eating may become a game of Russian roulette for allergic individuals, who have no way of knowing if foods contain genes from other foods to which they are allergic. The resurgence of infectious diseases also may be linked to GM products because of the gene transfer by vectors such as viruses and other infectious agents (see the sidebar titled “The Basics”). The artificial vectors made by genetic engineers are designed to cross species boundaries. According to Dr. Mae-Wan Ho, biology professor at Open University in the United Kingdom and researcher at the Institute of Science in Society (also in the United Kingdom), this would greatly enhance the potential for creating new viral and bacterial pathogens. Until recently, the U. S. public wasn’t paying much attention to the genetic experiments being conducted at their dinner tables, but people in other countries have been fighting GM technology for a while now. Japan, a huge buyer of U.S. soybeans, makes every effort to import only non-GM beans, and labeling is required in Europe, where a number of supermarkets refuse to sell foods with GM ingredients. As a result, some U.S. companies, such as Nestlé, now produce non-GM foods for the European market. Biotech firms in Europe have faced vandalism, huge public protests, and plummeting share prices for their GM work. Opposition in the United States is growing, as evidenced by the anti-GM contingent at the World Trade Organization summit in Seattle in 1999. In March 2000, more than four thousand people protested the BIO 2000 conference (a biotechnology industry event) in Boston. Biotechnology firms aren’t happy. There’s a lot at stake. Biotechnology is one of the fastest-growing industries and earns billions of dollars a year. U.S. opinion is important, not just because the United States is a huge market, but because almost 80 percent of all field trials of GM crops take place in this country. arlier this year biotechnology giants, including Monsanto (a subsidiary of Pharmacia Corp.), Upjohn, Dupont, Dow, Novartis, BASF, Aventis Crop Science, and Zeneca, launched a multimillion-dollar advertising campaign to convince U.S. and Canadian consumers that GM foods are safe and beneficial. One ad in Newsweek magazine compared a cure for leukemia developed through biotechnology to GM foods. But there’s a big difference: the biotechnology drug underwent extensive trials before it was offered to the public, whereas the corn and potatoes with a toxic pesticide in every cell are being tested on us. Contrary to what industry claims, it is possible to feed hungry people and vaccinate the world’s children without genetic engineering. It’s a matter of political will and spending priorities. Corporate claims that growing GM foods is better for the environment are blatantly false. Some argue that genetic engineering is not very different from the various crop-breeding techniques that have been used by farmers for generations. But farmers do not insert genes from human beings into pigs or salmon. They aren’t the people creating plants that kill the butterflies that pollinate them. Genetic engineering gives us the ability to direct the evolution of life itself to suit our economic, political, and social preferences. Corporations are playing God—with profit as their only motive. *Except where otherwise noted, quotes and information on studies and statistics came from news clippings provided by the Campaign to Label Genetically Engineered Foods (see the sidebar titled “Resources”). SUSAN MEEKER-LOWRY is a writer and editor and the author of Econonics as If the Earth Really Mattered and Invested in the Common Good (both New Society Publishers). An avid gardener and beginning herbalist, she lives in Maine with her family, which includes six cats. She loves Radiance magazine. enetic engineering or biotechnology in plants is the genetic modification of plants by moving genes around within a plant or by isolating genes from other plants, bacteria, viruses, or animals (even humans) and inserting them into the embryonic cells of a plant or organism. Unlike conventional cross-breeding, genetic engineering crosses species boundaries. For example, broccoli can be crossbred with cauliflower, because they belong to the same family, but not with a fish or tomato—until now. Here’s how it’s done. First, scientists identify the gene or genes responsible for a specific trait. Then, with the help of various chemicals, the targeted genes are extracted from other genetic material in the cell. Next, an insertion package is prepared containing the desired genes as well as promoter genes (from either the plant or a plant virus) to keep the desired trait turned on in the host; penetration genes (which come mostly from viruses or bacteria) to overpower the host cells’ defense mechanism against invasion; and marker genes (often an antibiotic) to help researchers determine that insertion was successful. This package is introduced into the host’s cells using a vector or delivery system. For plants, this could be a bacterium; for mammals, this could be a retrovirus. Other insertion methods include exposing cells to electric fields. ompanies respond to consumer demands, and more and more of us are letting them know that we don’t want GM ingredients in our food. Here’s what you can do. Demand GM-Free Foods: Let your supermarket know that you don’t want to buy foods containing GM ingredients. Contact the producers of foods you often buy and ask if they use GM ingredients. Tell them you won’t buy their products if they do. Some examples of success: Frito-Lay is refusing to use GM corn due to consumer demand; McDonald’s told its supplier of french fries not to buy GM potatoes (although according to San Francisco Magazine, August 2000, it still uses GM corn and soy oil); and Gerber and Heinz have sworn not to use GM ingredients in their baby food. It’s inevitable that other companies will opt out of the GM trend if more of us demand that they do so. Support Labeling Legislation: As of summer 2000, labeling bills had been introduced into both the House of Representatives (Genetically Engineered Food Safety Act, HR 3377) and the Senate (Genetically Engineered Food Right-to-Know Act, S 2080). Let your elected representatives know that you want them to support these bills. Although labeling isn’t the ultimate solution (banning GM foods is—at least in my opinion), it is an important tool. When GM foods don’t sell, companies won’t offer them. Write Letters, Share Information, and Stay Informed: Don’t keep quiet about this issue. Write a letter to your local newspaper. Talk to your family and friends about GM foods. Check out the “Resources” sidebar for more information. Buy Organic/Buy Local: Buying organic is the only way you can be absolutely sure that the food you eat does not contain GM ingredients. Plus, you avoid pesticides and unwanted chemicals. 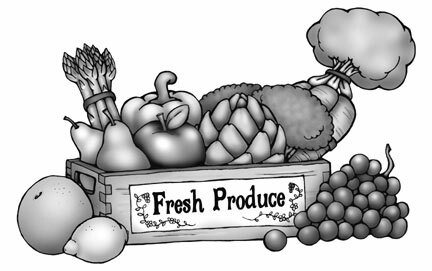 Shop at local farmer’s markets and get to know who grows your food. Join a Community Supported Agriculture (CSA) project, which will allow you to have a share in organically farmed foods with a community of like-minded people (see “Resources”). Buying local also keeps your food dollars in the community and out of the pockets of corporate agriculture. Consider planting a garden using traditional or heirloom seeds. 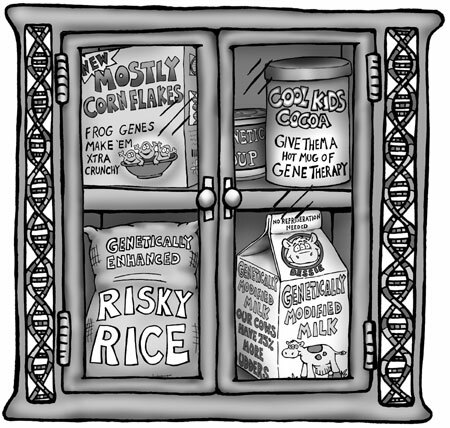 The Campaign to Label Genetically Engineered Foods, at P.O. Box 55699, Seattle, WA 98155. Phone: 425-771-4049. E-mail: label@thecampaign.org. Web site: www.thecampaign.org. This is a great resource, with excellent links to other related organizations, state-by-state legislator information, and up-to-date archives. Sign up to receive regular e-mails. Center for Food Safety at www.centerforfoodsafety.org (or 202-547-9359) is good for general information and offers excellent links to other sites. Community Supported Agriculture (CSA): To find a group near you, go to www.biodynamics.com or call 800-516-7797. Mothers for Natural Law at www.safe-food.org (or 800-REAL-FOOD). Organic Gardening Magazine at 33 E. Minor St., Emmaus, PA 18098. This bimonthly publication provides information on organic food and growing techniques for gardeners, and it pledges to keep biotechnology on the front burner. Physicians and Scientists for Responsible Application of Science and Technology at www.prast.org. This award-winning web site is well organized and easy to navigate. Genetically Engineered Foods: A Self-Defense Guide for Consumers is by Ronnie Cummins, national director of the Organic Consumers Association, and Ben Lilliston, communications coordinator for the Institute for Agriculture and Trade Policy—two of the leading U.S. organizations monitoring the use of genetically engineered foods in the United States. This book, published by Marlowe & Company, is the first to provide product information and clear options for consumers wishing to avoid genetically engineered foods. The book is available in traditional and on-line bookstores, and can be found at www.iatp.org.